The turban is one of the most powerful symbols of Sikh identity. Amit Amin and Naroop Jhooti trace its heritage, in this extract from their book, Turbans and Tales - a celebration of the turban's past and present. Growing up in Southall, West London, the turban was all around us: at home; the Gurdwara; on the street. Seeing a turban- wearing Sikh man or woman was an everyday occurrence. As in most Sikh families, from a young age, our parents taught us the significance of the turban. The sacrifices that were made so Sikhs could maintain their identity. The responsibility it takes to wear one. Even though we are not turban-wearing Sikhs, we are still very proud of what the turban represents. But when writing this book, and with the success of our photographic portrait series, the Sikh Project, it got us thinking. How much do we really know about the history of the turban? It is not foolish for any Sikh to assume that the turban is something that is wholly theirs. We did. Ask many people about the turban and they will point you in the direction of a Sikh. It is their most identifiable feature. But trace history back, and you will find that turbans were also worn by Muslims, Hindus, Jews and Christians. So what is the history of the turban and how did Sikhs eventually adopt it as part of their religious garb? The exact origin of the turban itself is still unclear. A turban-like garment on a Mesopotamian royal sculpture dating to 2350 BC, is believed to be the earliest evidence of such a headdress. What can be concluded from this is that the turban was in existence before Islam, Judaism and Christianity, and therefore the turban cannot be associated with religion alone. Throughout India, and still used today, the word for a cloth wrapped around a head is pugree. It is believed to have originated from the Egyptian word of pjr, meaning an ornamental headdress. The word ‘turban’ began to be employed in the fifteenth and sixteenth centuries, particularly in the language of the Persians, who would use the word ‘dulband’. From there the word passed on to ‘tulipant’, meaning tulip, suggestive of the folds in the turban, to ‘tolibant’, ‘turbant’ and ‘turaband’. The use of a turban was widespread in history, stretching across India, the Middle East, Europe and Africa. Practically, a cloth wrapped around one’s head served to protect the wearer from the sun, the rain and the cold. People would treat it like a cap or hat. But more importantly, the turban evolved to become recognised as a symbol of dignity, self-respect and authority. Different colours, styles and accessories would immediately reflect the importance of the wearer. Evidence of this sense of regalia is depicted in the Old Testament. For Jerusalem’s sake I will speak out, until her right shines forth like the sunrise … You will be a glorious crown in the Lord’s hand, a kingly turban in the hand of your God (Isaiah 62: 2–10). The turban was seen as an outward expression of one’s personality and status, and a blemish on one’s turban was an indication of poor character. Insulting the turban was an intolerable offence to one’s personality. In the Bible, the Prophet Isaiah states, ‘When God takes away the turban, he takes away the dignity of man’. With the turban holding such importance in society, different cultures adopted their own views on who could and could not wear turbans. In some regions only believers had the privilege of wearing a turban, while other cultures ordered non-believers to wear turbans of a different colour with a distinguishing mark so they could be identified. In Egypt and Syria in the eighth century, Christians wore blue turbans, Jews yellow and the Samaritans red turbans. Muslims generally always wore white turbans, out of respect for the prophet Muhammad, who believed it was the holiest colour. From Sultans and Wazirs in Africa to Popes in Europe, the turban was used as a headdress for centuries. However, in order to understand how and why Sikhs adopted the turban, it is essential to understand the political and social landscape of India pre-Sikhism. Before the rule of India by the Islamic Mughal Empire, founded in 1526, only the royal entourage and high officials had the privilege of wearing turbans. 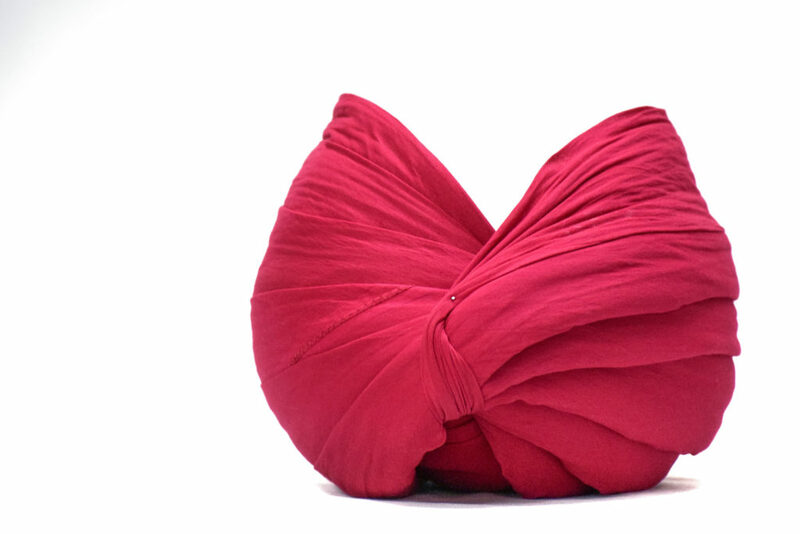 Made of the finest muslin, the turban had become a symbol of their distinctive ranks. Peacock plumes and ornaments were used to decorate the turbans, making them individual to the wearer. Hinduism, with its strict caste system, forbade individuals from lower castes to don a turban. Islamic rule brought in changes to the turban in India. Stylised after their Persian and Arabic culture, the turbans were conical and broad, different to the smaller turbans worn by the Indians. The turban was the Emperor’s crown, tied using gold cloth and decorated with large diamonds and jewels. Great importance was placed on the significance of the turban. The third Mughal Emperor, Akbar, a religious liberal who reigned from 1556–1605, even changed his turban style from Mughlai to the native Hindustani. Maybe it was an attempt to win the support of the people, but this change also encouraged more of the eligible Hindu population to wear a turban. However, this more equal state of affairs didn’t last long. When Aurangzeb, one of India’s most controversial emperors, came into power as the Mughal Emperor in 1658, the turban was used as a tool to segregate the population. He attempted to suppress all non-Muslims from wearing a turban, deeming that only the ruling class, Muslims, had the authority to wear one. Hindus were made to feel inferior and submitted by sacrificing their turbans. Aurangzeb may have believed that he was maintaining control of the population, but in fact, his oppressive actions were the catalyst for a series of events that would eventually lead to the creation of the Sikh identity. Aurangzeb was an aggressive expansionist. During his reign, the Mughal Empire, which covered present-day India, Pakistan and parts of Afghanistan and Nepal, became the world’s largest economy, with nearly a quarter of the world’s GDP. While his predecessors practised religious tolerance and diversity, Aurangzeb was much more conservative, banning many pleasures such as alcohol, music, gambling, and enforcing taxes on non-Muslims. Believing that Islam was the superior faith, Aurangzeb began a policy of forced conversions. This did not sit well with many strong-minded Hindus, like the Rajput, Jat and Maratha clans, who refused to abide by the Emperor’s unreasonable demands. Brutal wars were fought to maintain Hindus’ heritage and freedom. The Guru had resisted persecution and promised to protect Kashmiri Hindus who were being forced to convert to Islam. With his growing socio-political power, Guru Tegh Bahadur was becoming a threat to Muslim rule and Aurangzeb himself. Invited to Chandni Chowk, Delhi, to meet with Aurangzeb, Guru Tegh Bahadur was offered the chance to abandon his faith and convert to Islam. The Guru refused. After weeks of torture, he was executed on 11 November 1675 in view of the Delhi public. Instead of spreading fear among the Sikh followers, the execution of their Guru further strengthened their resistance against Islamic rule. Guru Tegh Bahadur’s nine-year-old son, Gobind, took his father’s place as leader of the Sikhs, founding the Khalsa in 1699, comprised of baptised Sikhs and an army. The creation of the Khalsa led to changes amongst the Sikh community. Guru Gobind Singh gave all Sikh men the surname Singh, meaning lion, and women Kaur, meaning princess or lioness. He insisted turbans must be worn by all Sikhs to cover their uncut hair. Some women would have also worn turbans. The adoption of the turban was an integral part of the new Sikh identity and had many meanings. Within Guru Gobind Singh’s Khalsa, different groups were formed. Each were distinguished by the colour of their turbans. The Guru promoted a style of turban called a dumalla, which was tall and tied using a deep navy-blue fabric. They were worn by a group called the Akalis, meaning ‘immortals’ or ‘followers of the timeless one’. Known to be fearless, skilled and resolute warriors, they were the vanguards of the Sikh nation. Around their turbans, which were three to four times the length of a normal Sikh turban, they would place steel or iron quoits called chakkars. This unbroken circle served as a reminder of their belief in a timeless supreme being. But the rings also served another purpose. They were used as weapons that could be thrown at the enemy in battle. The navy blue of the Akalis’ turbans and their matching long shirts, known as cholas, were believed to be chosen so blood would not show on the fabric. Others suggest the colour was a link to the flowing blue rivers of the Punjab. The Sewapanthis, originally followers of the ninth guru, Guru Tegh Bahadur, were comprised of a group of individuals bound into selfless philanthropy, pacifism and upholding of the sanctity of life. They were exempt from fighting and wore white turbans. There is much deliberation over the formation of the Nirmalas, who were the scholars sent by Guru Gobind Singh to Varanasi, a holy Hindu site of pilgrimage, to learn Sanskrit. Hindus forbade lower castes to learn Sanskrit and to read the Vedas, their ancient religious scriptures. Guru Gobind Singh gave the Nirmalas the duty of learning Sanskrit and teaching it to the uneducated Indian population, irrespective of the student’s caste and creed. The Nirmalas were distinguished by their faded peach or ochre-coloured turbans and clothes and became the intellectuals and scholars of Sikhism. With the passing of Guru Gobind Singh on 7 October 1708, the Sikhs went through a turbulent time. Having lost their leader and with threat from invading Muslim Afghan armies, it was a time of desperate survival. Leaderless, the Punjab became divided into numerous warring misls or confederacies, each with their own ruler. Twelve were under Sikh rule, one under Muslim rule and one led by an Englishman. After much negotiation, reconciliation and fighting, by 1799, these misls were united into one empire by Ranjit Singh, who became the first leader of the Sikh Empire. He was a benevolent ruler and allowed Muslims and Hindus to practise their faiths. During this time, there were varying styles of turban. They differed based on religious belief and region. The main differences between the turbans were the material used, the folding and tying of the layers, the ornaments chosen to decorate the turban and the colours worn. A British painter by the name of John McQueen painted the key rulers and personalities of Ranjit Singh’s court. Using a painting technique called the ‘Company’ style, which was stylistically flat in dimension and highly sort after in India, he captured the intricate details of the different turban styles worn at that time, with all their variations in colour, size, layers and decoration. Despite the diverse styles of turbans worn at that point, it was the arrival of the British in Punjab in 1845 that triggered one of the most significant shifts in the identity of Sikhs. Ranjit Singh was a patron of his empire, investing money to help his soldiers to become the best. It was common knowledge that he took inspiration from the British and their military style. Ranjit Singh employed French generals to train his Khalsa army. The generals were experienced at fighting the British, having faced them in the Battle of Waterloo in 1815. With the guidance of the newly appointed generals, the Khalsa army began to dress like the British, adopting their order, discipline and showmanship. The Khalsa army displayed this when they held a parade for the British, their horses adorned with silk cloths and the finest weapons and uniforms. It was a show of the Khalsa army’s strength and Ranjit Singh’s determination to be the best. According to the Treaty of Amritsar (2 April 1809) between Ranjit Singh and the British, Ranjit Singh had unrestricted authority to further expand his territory north of the Sutlej river in the Punjab. However, he could not cross south of the river. With the death of Ranjit Singh in 1839, the Sikh Empire began to crumble. His sons fought for control. Mysterious deaths led to a succession of short-lived rulers. Seeing a weakness in the Sikh Empire and an opportunity to conquer the last major region of the subcontinent, the British began to gather its military strength on the border of the Punjab. Increased tension provoked the Khalsa army to cross south of the river, leading to the First Anglo–Sikh war (1845–46). Despite defeating the Khalsa army, the British regarded the Sikhs as the toughest opponents they had faced in India. Impressed with their military skills, the British began to recruit the Sikhs to fight for them. For the Sikh soldiers, their options were narrow. It was a choice between learning from the British Army and earning a salary that exceeded what they had been paid by Ranjit Singh, or living in a fallen empire. With the addition of Sikhs to the existing Muslims and Hindus in their army, the British were fully aware how caste issues could affect the cohesiveness of their soldiers. To combat this, they made it mandatory that all soldiers wore a turban, creating a sense of equality, just like the Khalsa. The varying turban styles of their soldiers, different shapes, different sizes, didn’t sit well with the British. They needed updating. To the British the turbans looked scruffy and didn’t comply with the neat, sharp look of their uniform. The natural rolled layers of the turban were replaced with neat, symmetrical folds. It was a huge change in the style of the turban and led to what is commonly known today as the ‘Kenyan’ style turban. Many believe that this style of turban was created by Sikhs who had emigrated to Kenya, hence the name, but the style owes its origins to British India. The British sketched instructional diagrams of how the turbans of different regiments should be worn. Hindus, Muslims and Sikhs had variations in their turbans, which were carefully noted in detail. Muslim soldiers would leave their ears out and there were variations in the fringes, layers and colour of the under-turban, called a saffa. Having given all Indians a collective identity, the British also began to introduce insignia to help identify regiments, mostly organised by race or class. The British used the ‘chakkar’, which was once used as a throwing weapon, as the symbol of identity for the Sikhs. Amit Amin and Naroop Jhooti are a photography duo. 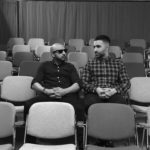 Born and raised in west London, they honed their craft and developed their distinctive visual style in the music industry. Since then, their portfolio has expanded to includes portraits of Tinie Tempah, Ricky Gervais, Miles Teller, Skepta, Jay Sean, 50 Cent and Riz Ahmed, along with advertising campaigns for Barclays, Samsung, MTV and Huawei.